We're already getting a gameplay trailer for Halo: Reach. 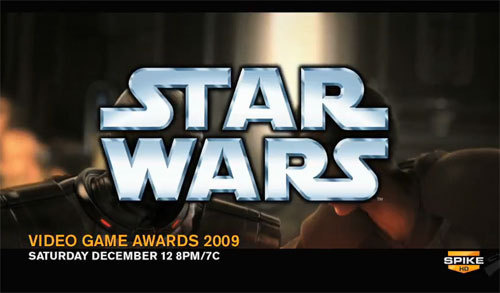 Now we're supposed to be getting an unveiling for a new Star Wars game. Kotaku throws out the possibilities of Battlefront, a new X-Wing game, and Masters of Teras Kasi 2. My guess - and what I hope for - is The Force Unleashed 2. I haven't gotten my hands on Ultimate Sith Edition, nor have I played any of the Infinities DLC packs (although I'm trying to get it for Christmas), I wouldn't doubt it if Lucas Arts would try to expand on the Infinities story arc and keep the Starkiller story going. And for that, I would be ever grateful.